Bored of the same old dinner and a movie routine? There are no excuses if you’re in South Carolina. The Palmetto State knows no bounds when it comes to fun activities to spur new romantic interests. No matter what you’re into, be it sports, music, the arts, or the great outdoors, a little creativity goes a long way in helping your first date turn into a second. 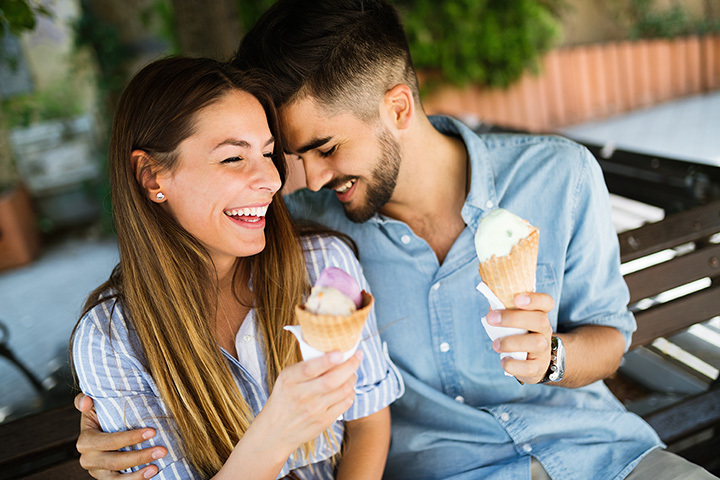 Let the sparks fly at these 10 best first date locations in South Carolina. From roller coasters to go-karts and all types of rides and food, you and your date will have a blast getting to know each other. The spacious park is just across from the beach, providing beautiful views and a good place to prolong your date when you’ve had your fill of amusements. Plus, the park is usually full of families and other couples, which makes it less intimidating during a first meeting. Add a little thrill to your first date with a visit to the Tigers Preserve. You and your date can take a walk on the wild side as you get up close and personal to tigers and other wildlife. You can watch from afar, or pay extra to journey on your own exclusive “safari.” If you want to make a great first impression, this place will do it for you. If you want a cheap date that doesn’t feel like a cheap date, head to Jones Gap State Park. For a meager admission of just $5 each, you and your date can spend the day exploring the great outdoors. The park offers several hiking trails of varying difficulties, some of which lead to beautiful waterfalls, as well as spots for picnicking, geocaching, and birdwatching. logan wanted me to explain why he's wearing navy shorts with a navy shirt. it's not because of his fashion choices. it's because he fell in a river before we even started hiking so he had to change into a shirt i had in my car. The perfect place to put an artistic spin on your first date is at the McSweeney Clay Studio. The date night special includes a bottle of wine, an introduction to pottery throwing, and an hour of private studio time. You and your date can enjoy each other’s company while learning a new trade together at the shared pottery wheel. There is no better place to start your blossoming relationship than at this wonderful studio! Bold, adventurous, and exciting, conquering an escape room can reveal a lot about your new romantic interest, even though it doesn’t give you much chance for getting-to-know-you conversation. It gives you a chance to see how well you might work together in the future, plus it can help you learn about their strengths and weaknesses. Plus, you’ll have plenty to talk about afterward during dinner. Brush up on your culture while you take your date to the Gibbes Art Museum. The large collection of art and exhibits give you plenty of exploring time to get to know each other, plus it can give you clues into each other’s tastes and preferences. The museum also offers art classes, so consider planning your trip to include a hands-on activity. As one of the most expansive flea markets in the state, a date here serves two purposes: First, you have seemingly infinite places to roam while you learn more about each other. And second, this flea market sells some of the coolest gadgets, antiques, animals, and other unique items. If you pick up a piece of furniture for refurbishing, you can just about bank on a second date to work on the project together. One of the most beautiful botanical gardens in South Carolina is tucked away inside the Riverbanks Zoo. You and your date can spend all the time you like wandering through gorgeous themed gardens, sit next to fountains, and getting lost in nature. As a bonus, you also have the entire zoo to explore while you’re there. This dinner date with a twist is one of most filling first date experiences. Rather than sitting down for one meal, you can keep things fresh with a sampling of some of Charleston's most exquisite cuisine. Food tours take you to a few of the best restaurants in town, allowing you to try amazing local flavors while you enjoy the sights and sounds of the area. Cozy and challenging, a round of disc golf is a perfect low key, no pressure activity. Whether you’re an expert or absolutely terrible, you can both have fun laughing at your flaws or celebrate when you score.